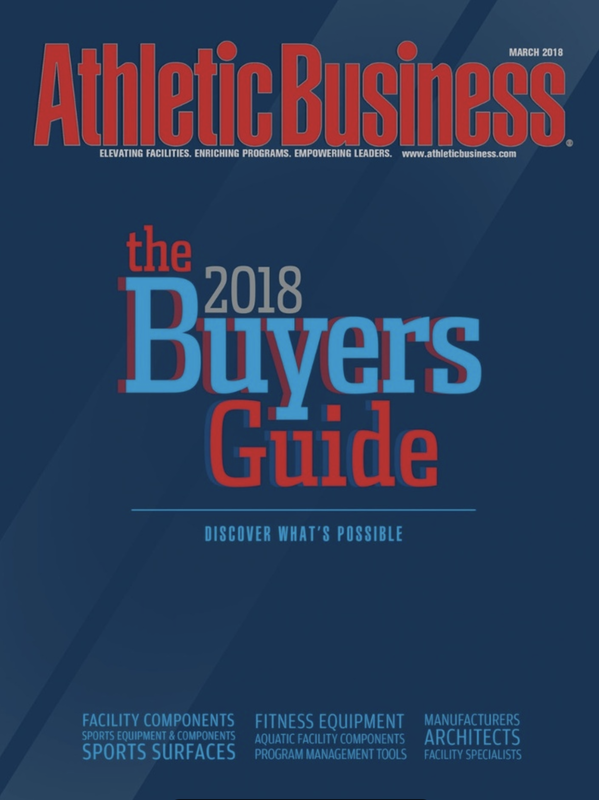 Athletic Business, the industry-leading publication, is sent to 40,000 qualified subscribers, 94% of whom are involved in purchasing decisions for their organization. Here at Athletic Business we know one size does not fit all. That's why we provide advertisers with multiple ad size options that work with any budget or strategy. From a two page spread to a 1/6 page ad, we have the solutions you need to drive your brand message forward. Used in tandem with our print and digital products, or as a stand alone marketing play, sponsored content is a sure way to separate your brand from the competition, engage with prospects in an educational way and drive the value of your brand to new heights. Offered both in print and online, sponsored content allows your company to benefit from the values of content marketing with an engaged audience already looking to Athletic Business for the latest solutions, trends and ideas to help them grow. With copy and images provided by you, sponsored content gives your company the exposure you need to stay top-of-mind and grow your prospect list with our 40,000 magazine subscribers and over 2 million digital visitors. Showcase your newest, cutting-edge or updated products in front of our audience of forward-thinking buyers. This section runs in every issue of Athletic Business and is built to keep the industry up-to-date on the latest product and service innovations. Example of the "New and Improved" section from the April 2016 issue of Athletic Business. 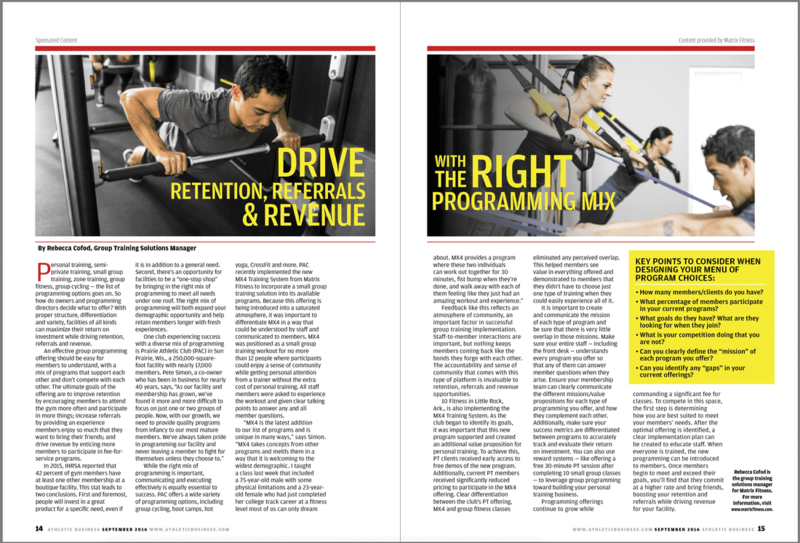 Athletic Business ​advertisers receive a free Product Spotlight in each advertised issue. Additional product spotlight coverage is available digitally via our Product Spotlight Newsletter. 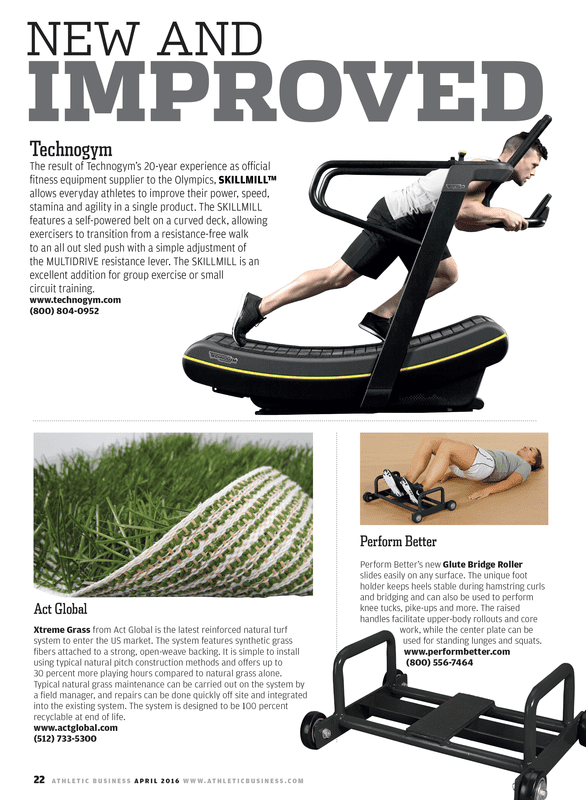 Example of the "Product Spotlight" section from the May 2016 issue of Athletic Business. 92% of AB's 40,000 readers find new vendors, products and solutions with the Athletic Business Buyers Guide. * This print and digital industry directory is the destination and resource buyers look to when finding vendors to make purchasing decisions for their facility or upcoming project. We had $8.7 million to spend in our facility. You know what I used for that? ​The Athletic Business Buyers Guide. I use that book.